This is a somewhat unconventional blog post for me, but today I’m talking about vaping. 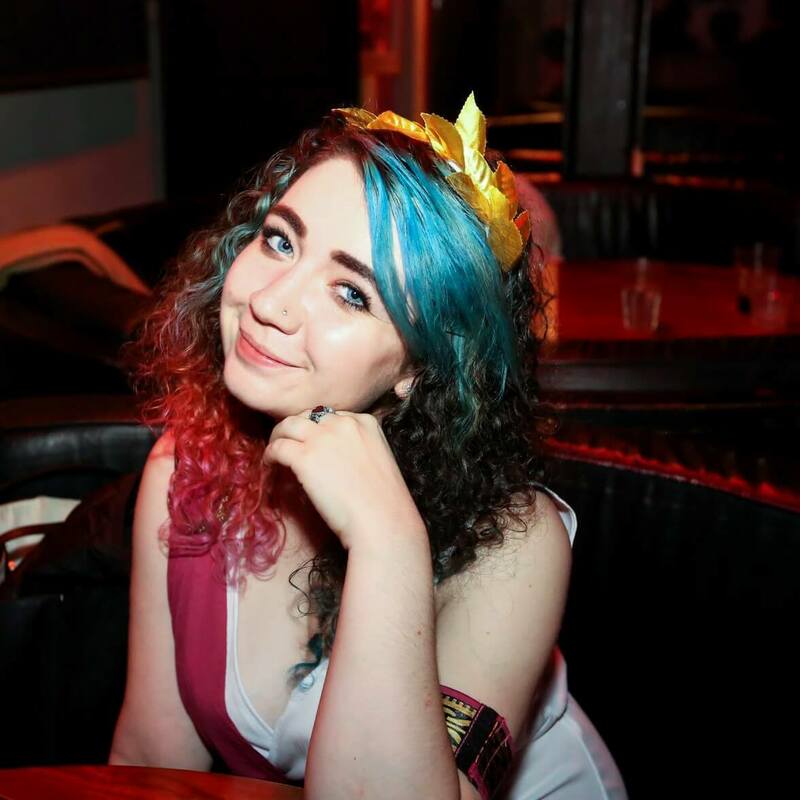 I’m not a smoker, but I am a student who likes to go out a lot, and I live in London, where so many people smoke. A lot of my friends do, and when we go out drinking or to concerts, I spend a fair amount of time outside awkwardly watching them smoke; I get offered cigarettes all the time, and on the odd drunk occasion I’ve shared friend’s cigarettes (even though they make me feel dizzy and one time I threw up over a coursemate in Athens, awkward!). So a few months ago, I decided to try vaping, because it gives me something to do when all my friends are smoking, I avoid the bad things in cigarettes, and it’s basically like a small version of shisha, with all the fun flavours you can try. With eliquids, you can choose the level of nicotine, which is great for people trying to quit smoking or reduce the amount they smoke, and as I’m not a smoker, I can choose liquids with no nicotine or a very small amount. Over the last few weeks, I’ve been trying out some awesome dessert-flavoured vape eliquids from Vapers Warehouse*, and oh boy they’re good. I’ll start off with Spiritwalker because it’s one of my favourites. This one tastes very sweet, like a biscuit, with a nutty / vanilla aspect to it. I’ve almost finished the bottle, because I love it! 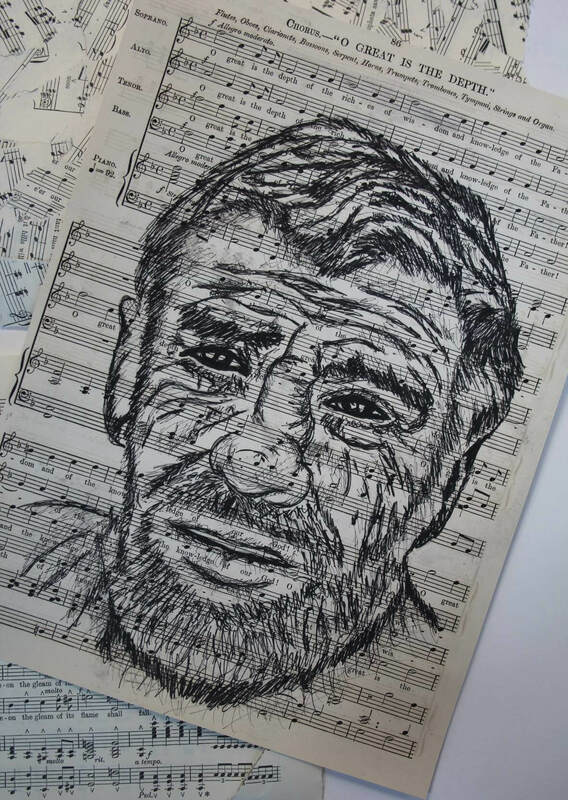 This one is £4.99. 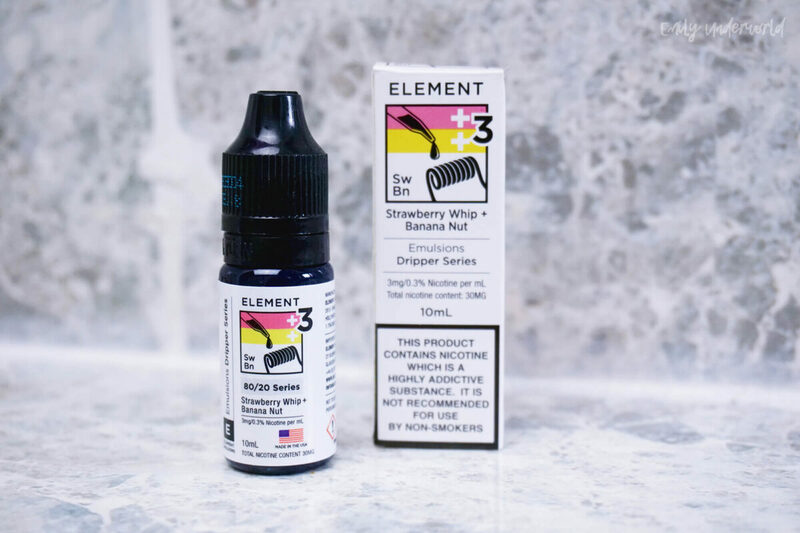 I’ve also been really enjoying Strawberry Whip + Banana Nut by Element Emulsions. The packaging is super cool, and it tastes exactly like its’ name. This is probably my second most used flavour, and it smells great too. £4.99. 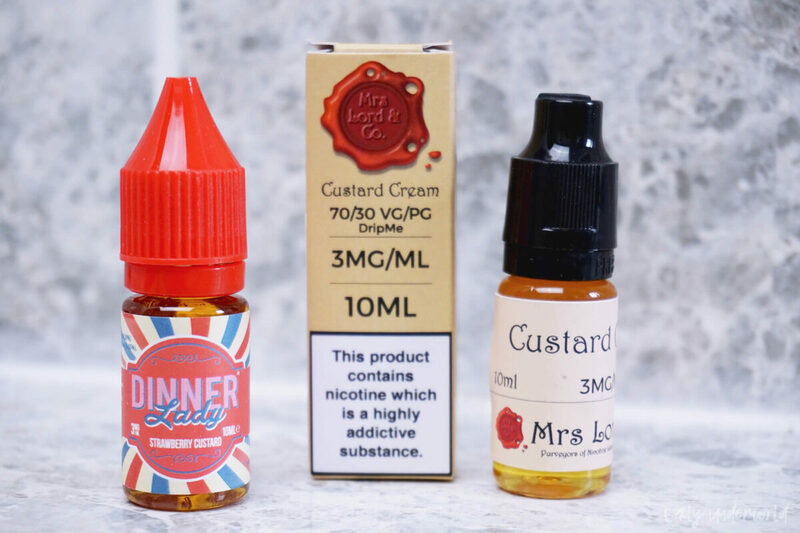 I decided to pick out a couple of flavours that were inspired by actual desserts: Strawberry Custard by Dinner Lady, and Custard Cream by Mrs Lord and Co. Strawberry Custard was very subtle, which is great if you want something flavoured but not too strong. It’s the perfect combination of fruity and creamy. You can get a set of three for £14.95. Custard Cream (£4.99) was a nutty, biscuit-y dream, and quite similar to Spiritwalker, so if you want an array of flavours, don’t pick both of them. On the other hand, if you’re like me and you love those kind of flavours, go for it! These Cosmic Fog ones are totally different to the other flavours I tried, and they’re awesome. They both taste more like sweets than desserts, and it’s refreshing. I particularly like Kryp / Kryptonite, it’s a melon and candy mix, which tastes amazing. Chewberry is very tropical, with strawberries and sweet passionfruit, more bubblegum-esque than any of the others I’ve tasted. 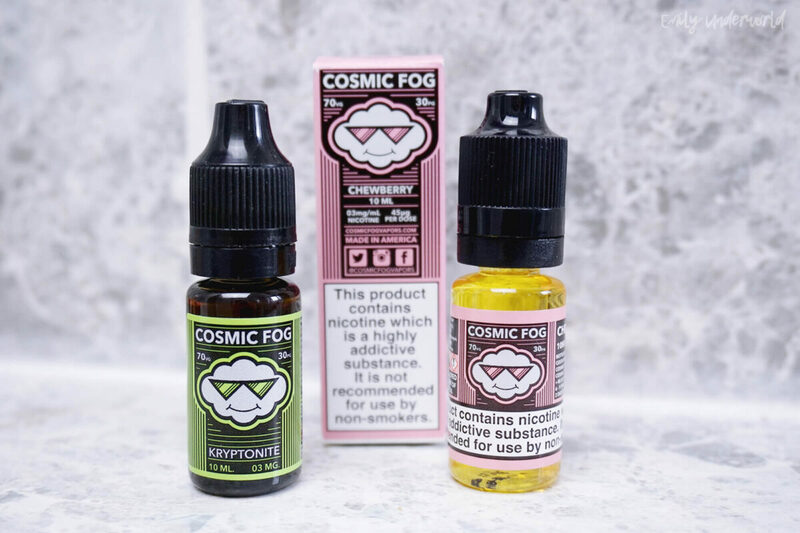 The Cosmic Fog vapes are £5.49 each, I definitely want to try more of them! 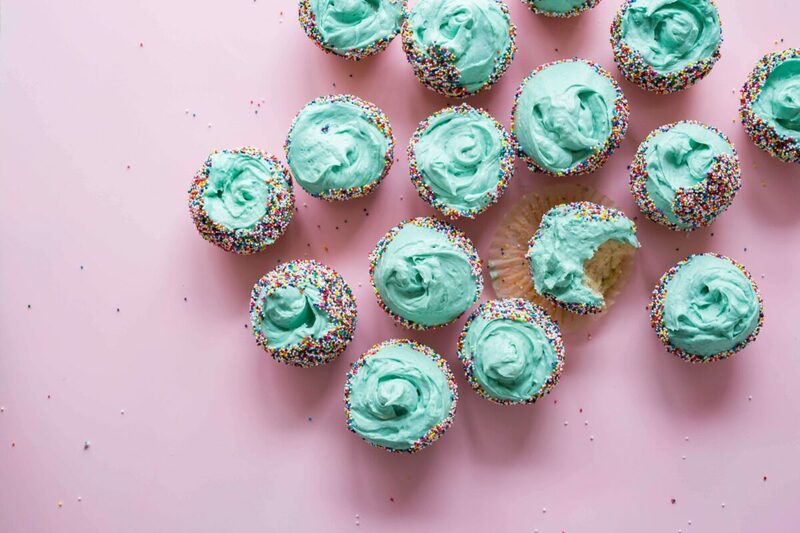 If you’re looking for fun, dessert-flavoured eliquids for vapes, definitely check out Vapers Warehouse. I’ll write a blog post soon about my vapouriser soon, so stay tuned if you want more info. *These vape flavours were sent to me for review by Vape Store, but this blog post is not sponsored and all opinions are my own.